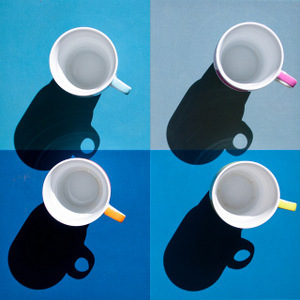 Indefinite relative pronouns are connectors: they link relative clauses to main clauses and, unlike normal relative pronouns, do not not have a specific antecedent. If any of the above grammatical concepts are unclear to you, please study those lessons before reading this one. There are five French indefinite relative pronouns: ce dont, ce que, ce qui, quoi, and quiconque. The first four are the main ones and have the same English equivalents. So which pronoun to use depends solely on the grammatical structure of the sentence. 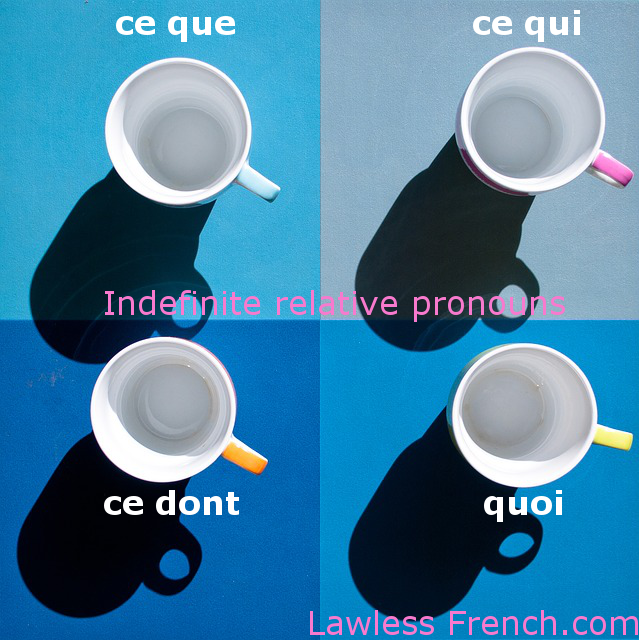 Here’s a summary of French indefinite relative pronouns with their functions and possible translations – click the links for detailed lessons.